On 18th September, the European Alliance to Save Energy held its 6th Annual Dinner debate. 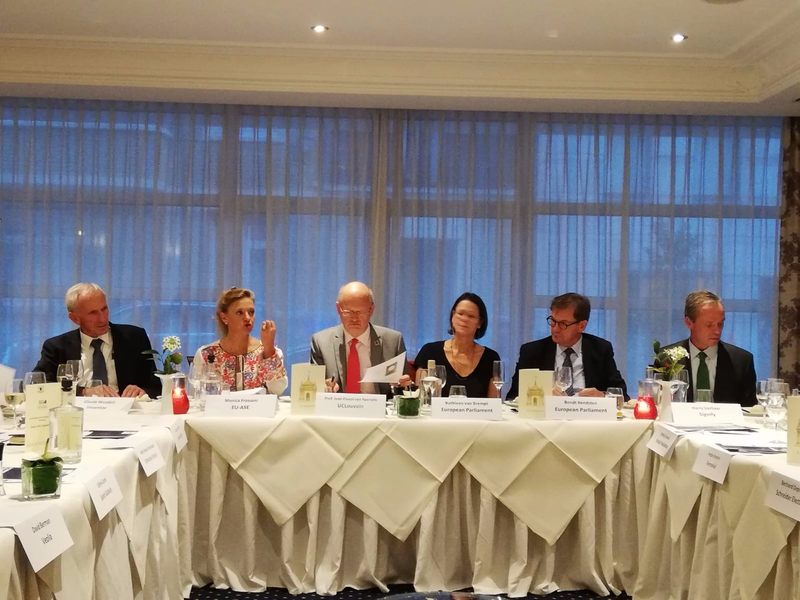 This year the event gathered EU-ASE business members and high-level guests including top climatologist Prof. Jean-Pascal van Ypersele, and MEPs Kathleen van Bremptand Bendt Bendtsen, both Honorary Members of EU-ASE. 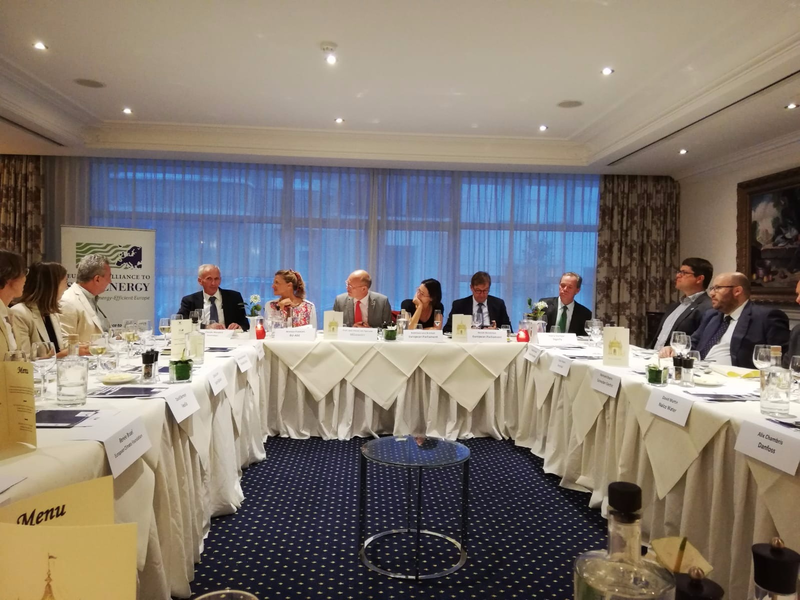 The dinner focused on how to leverage the Multi Annual Financial Framework (MFF) post 2020 to fully implement the EU climate and energy legislation in view of achieving net zero emissions by 2050. Following the keynote speech, the EU-ASE members welcomed Ms van Brempt, who underlined that “the sign of hope for the future is that we are all sitting here today to talk about climate“. Her speech was followed by Mr Bendtsen, who agreed with Prof. van Ypersele, stressing that the “ambition is still not high enough” and added that “it is still possible to change the view on climate issues of some EU countries”. EU-ASE members took part to the debate to call for integration of the Energy Efficiency First principle into the EU Long-term Energy and Climate Strategy; a climate proof budget post 2020 to leverage private investments; and net zero emissions target by 2050 at the latest to pave the way towards a decarbonised economy.